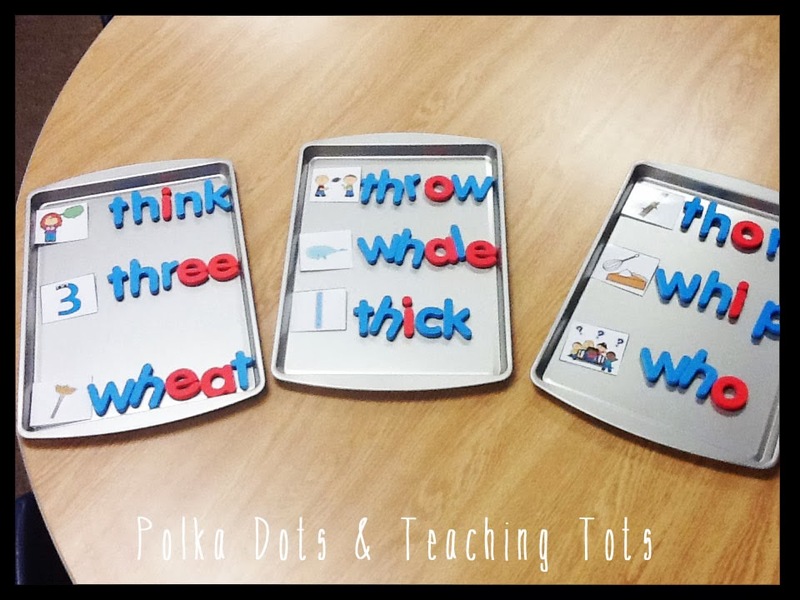 old and I have been able to implement many tips and tricks into my own classroom that I have learned from all of you! I live in upstate New York with my husband. We don't (yet) have any kids but we are kept busy with both of our families living in the next town over! Living in NY we truly experience all 4 seasons and my hubby and I take advantage of all most of them! In the summer, we enjoy time by the pool and out in the sun. On a perfect weekend afternoon in the fall you would find us out in the back yard with a fire in the firepit, the Andy Grammar playlist on in the background and a cool beverage in hand. Winter? Our longest season? Well, I'm currently plugging my ears and shaking my head. I'm in denial that it is on the way! Now, onto school life. I am a teacher in a 12:1:1 classroom. I know lingo changes from state to state so that means that our classroom can have up to 12 kiddies, 1 teacher and 1 teaching assistant. It is also a multi-aged classroom and I currently have 5 3rd grade students and 4 5th grade students. And no 4th grade students. of scaffolding for my kiddos! I enjoy the challenge that my classroom brings and go into work every single day with the mentality that I am going to do everything that I can to help my students feel confident in themselves as learners, to help them to love learning and to close the achievement gap between them and their peers! This is my 6th year in the classroom. My first 4 years I taught in a 4th grade integrated co-teach classroom. When I moved to the 12:1:1 I didn't move far... next door, actually! I am so lucky to have my former teaching partner just a few feet away. My favorite subject to teach would have to be a toss up between guided reading and math. It depends on the week, I guess! Guided reading is a consistent favorite because I love seeing the consistent growth from my students each and every day. I find math fun to teach because as much as learning math is a puzzle, I think teaching math is a puzzle too! For my students, the "gen ed. curriculum" and teaching strategies didn't work to reach them so I get to research and try different strategies to help each kiddo have their "ah-ha moment". Ahh, my guided reading shelf of happiness! If you came into my classroom on a typical day you would find kids working in stations. With 2 different grade levels and varying abilities within each of those groups, I teach almost everything in small groups! Typically I try to work with a group of 3 students or less. The others will be working on independent learning stations and centers, working with our TA on practicing previously taught skills, or on the computers playing a game which will allow them to practice a learned skill or listening to reading. Even with a consistent structure, there are always "those days" in the classroom. Chocolate gets me through. to promote student confidence, check. Foam magnets? Honestly, when things get tough it's just another puzzle to solve. What can I do to help my students feel engaged, confident, and driven? If they aren't feeling this way, of course I will have behavior problems! Engaged, confident and driven students on the other hand are worker bees and will help the day to move quickly and smoothly! My can't live without teaching resource would definitely be the district scope and sequence & the standards. Am I the most boring teacher in history or what!? ! Really though, my kids come in with such varying needs but my end goal is to close the achievement gap and get them back with their peers! I horde scope & sequence guides from each grade level and, along with my Common Core app, I can create a plan to help any student get from where they are to where they need to be. If only these pesky tests would get out of my way and stop putting time constraints on me and my kids' progress! This year, I hope to be a more collaborative blogger. I want to share, share, share, more of my in class activities (with photos!) and get out there and comment on all of the ideas that you are sharing with me! 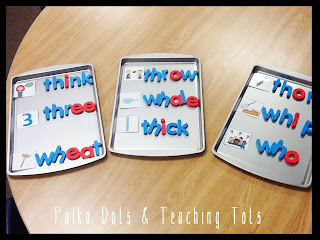 If you are still with me in the longest post I have ever written... pop on over and check out my blog, Polka Dots & Teaching Tots! Thank you for letting me be a part of the Budding Blogger Showcase!